DOMINI Plus is produced with grapes from the estates owned by José Maria da Fonseca in the Douro Superior, showing all the character, beauty and excellence of this unique wine region. 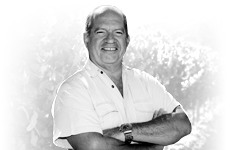 Historically, José Maria da Fonseca is a southern company with family roots in the Setúbal Península and Alentejo. The Douro Valley, home of Port and exquisite red wines, is the latest challenge for José Maria da Fonseca. The immediate priority of José Maria da Fonseca focused on land, through purchase of Quinta de Mós. There is a combination of old vines comprising an immense variety of traditional Douro grapes, with younger (10 to 15-year-old) vines of Touriga Francesa, Touriga Nacional and Tinta Roriz. The objectives were to optimize the excellence of grape varieties and Douro wines, enhancing them with the image and credibility of José Maria da Fonseca. These objectives were brought to life with the production, in first place, of our super premium red wine Domini Plus, and after that, Domini red wine. The frequency of the Douro wines production will naturally depend on the climate conditions of a specific year in conjunction with the maturation conditions of the company’s vines. Fruity, with nice evolution, schist, rock rose, blue and black fruits (blackberries, raspberries). It should be served at 14ºC and consumed at 16ºC with roasted and grilled red meats or with soft cheeses.